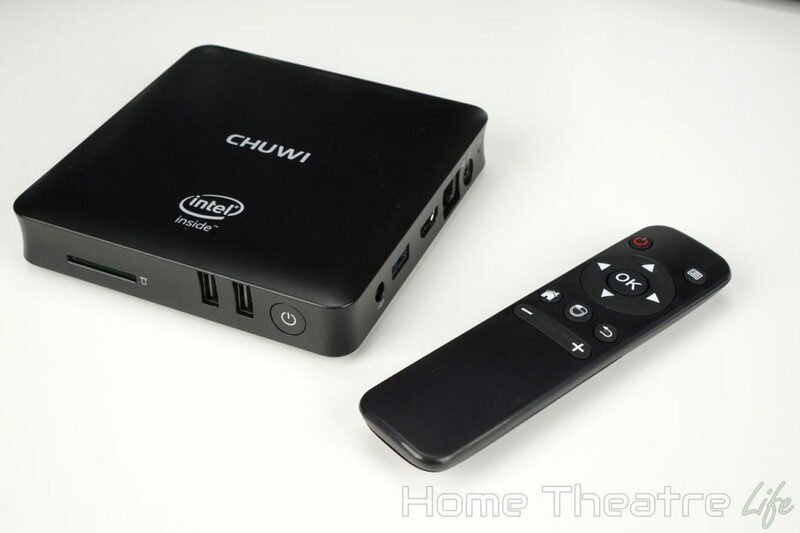 The Chuwi HiBox Hero is a compact mini PC that’s designed to be used as a compact home theatre PC or office PC. 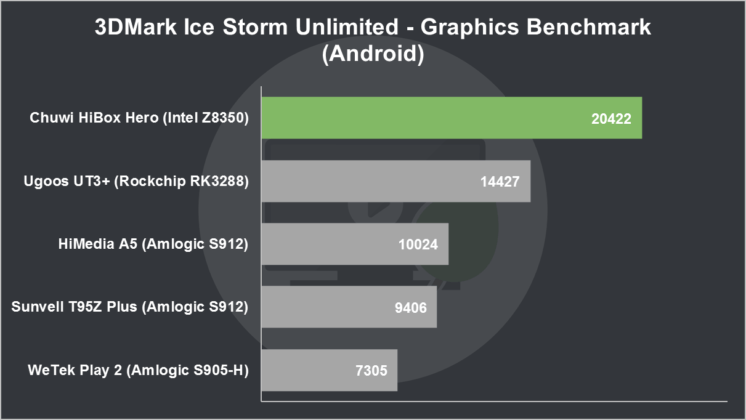 It’s powered by Intel’s quadcore X5-8350, runs both Windows 10 and Android and features 4GB of RAM and 64GB of onboard storage. Is it any good? 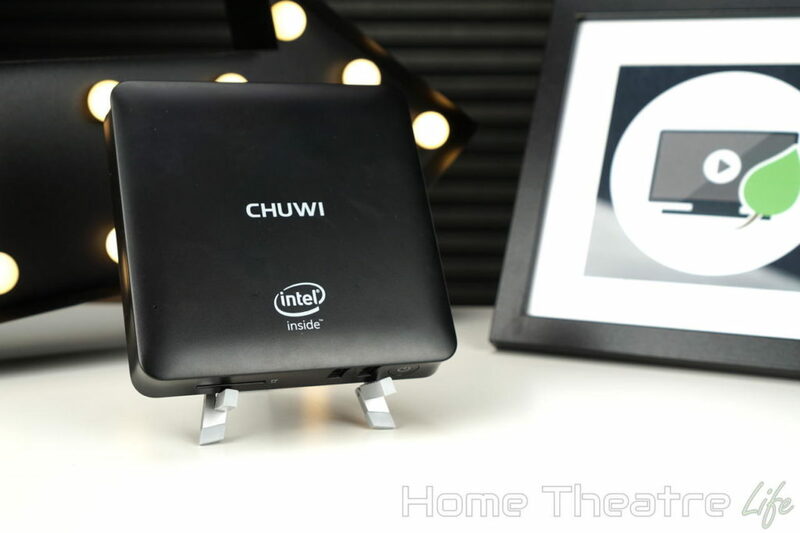 Keep reading my Chuwi HiBox review to find out. Thanks to Chuwi for sending me a sample to review. The Chuwi HiBox Hero is available from GearBest and Banggood for around $150. 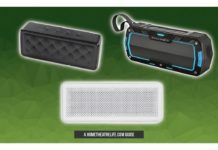 It’s currently on sale for $130 over at GearBest for a limited time. 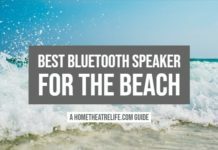 14 Should You Buy the Chuwi HiBox Hero? The Chuwi HiBox features an elegant design that’s unique yet familiar. Its black case features rounded edges and unique concave side whilst remaining close to the standard design of most mini PCs. Interestingly, the ports are located at the front and right of the unit for a change which is different. The front panel features the SD card slot, two USB 2.0 ports and the power button. On the right side, we’ve got DC In, a USB 3.0 port, HDMI In, Ethernet, 3.5mm headphone jack and a reset button. I’m glad Chuwi included front mounted USB ports as it made it easy to quickly plug in a USB drive with movies and photos to share compared to the side-mounted ports on other devices. However, it’s odd that the HiBox Hero has its HDMI port on the side. This makes it a little awkward in a HTPC setup unless you use a angled HDMI adapter like this one. That said, this layout is perfect for mounting to the back of your monitor using the included VESA mount for a really tidy setup. There’s a couple of odd things I need to mention. 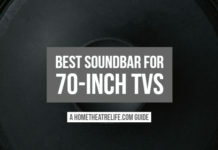 There’s a built-in microphone, though it only detects static. 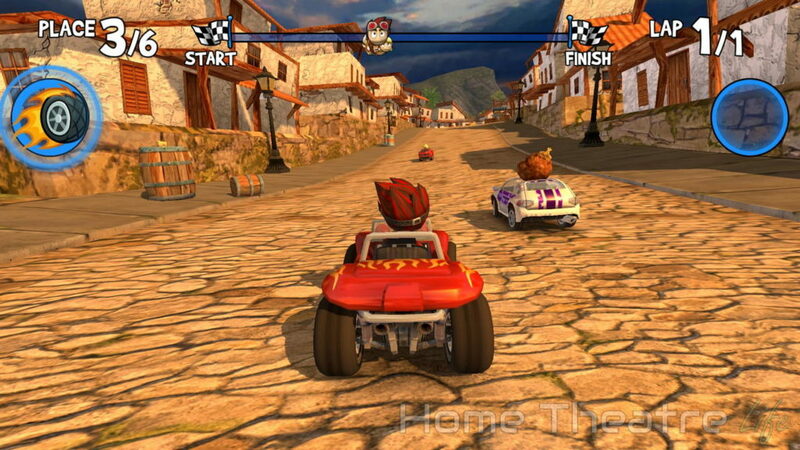 This is the same thing other reviewers have mentioned so I’m not sure if it’s a driver issue or not. 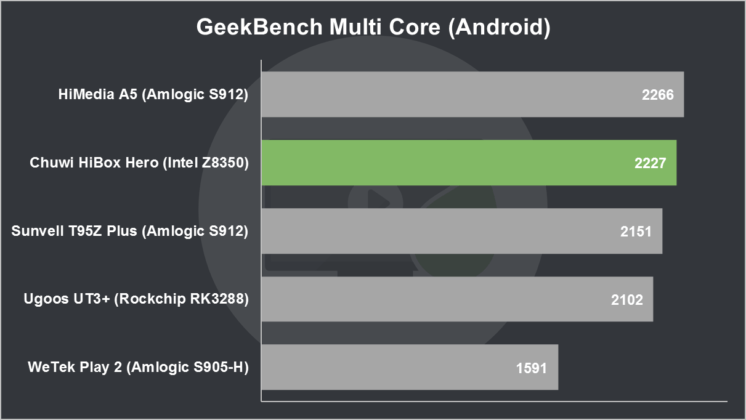 5GHz wireless isn’t supported either, despite appearing on product specs. I was pleasantly surprised Chuwi included a wireless remote/air mouse inside the box. It doesn’t have a keyboard like some higher end air mice but getting an air mouse inside the box is fantastic. 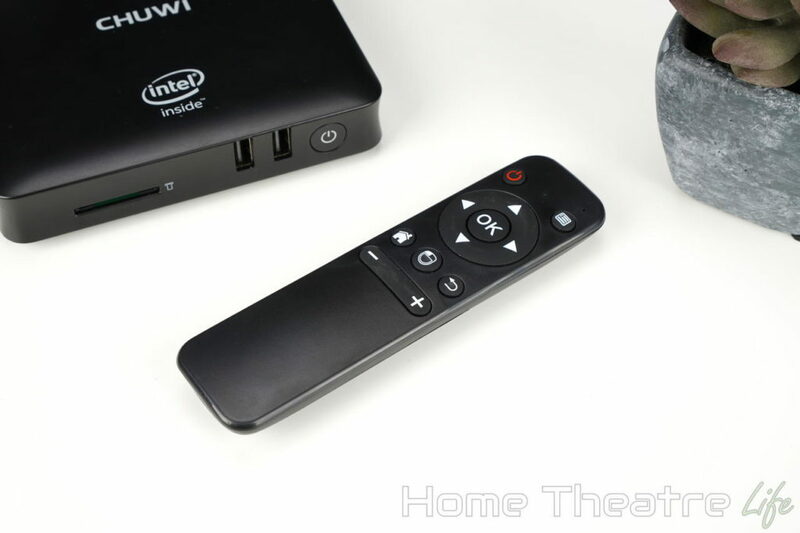 There’s no need to even plug it in, as Chuwi have integrated the receiver directly inside the mini PC. This means there’s no dongles to fiddle with, though it does mean you can’t use the remote on other devices. In terms of features, its got basic Android functionality, a toggle for air mouse mode and volume controls which covers 99% of uses. 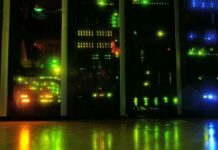 It also works in Windows, including with apps like Kodi and Netflix, though the lack of a right-click function can be limiting occasionally. 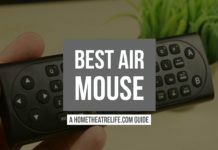 If you’re wanting an air mouse with a full keyboard, check out my Best Air Mouse guide for my recommendations. 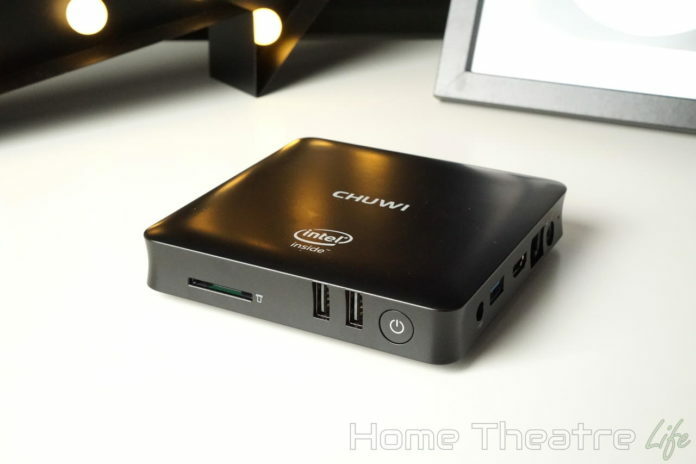 The Chuwi HiBox runs both Windows 10 and Android 5.1. 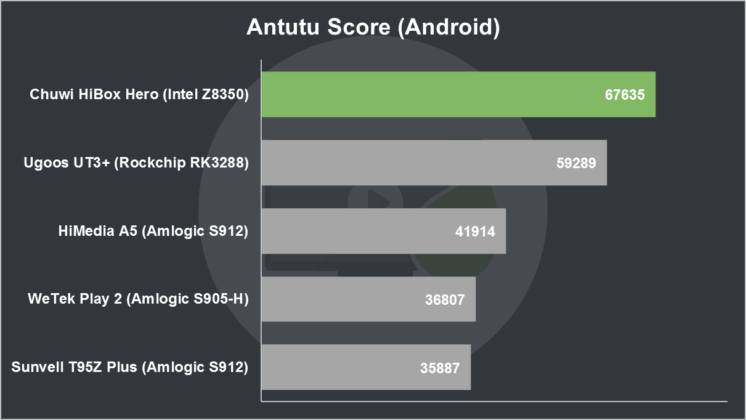 Chuwi have made a 9.72GB partition for Android, leaving the majority of the 64GB of internal storage to Windows which is good as I find I tend to need more Windows storage when using these mini PCs. Windows 10 is the same OS you know and love. It was a fresh install and, after the brief setup wizard, it activated without issues. You can jump into Android via a boot menu at or using the SwitchNOW app in Windows. It’s essentially stock, with no bloat and few customisations. 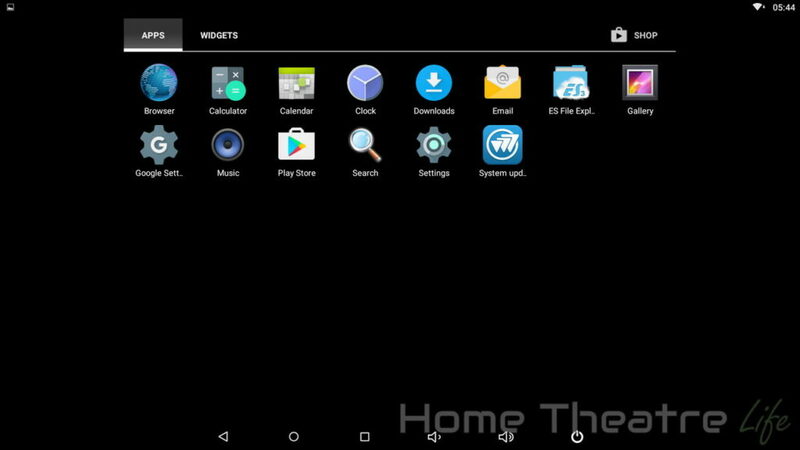 There’s no included apps or custom launchers though apps can be installed from the Google Play Store. 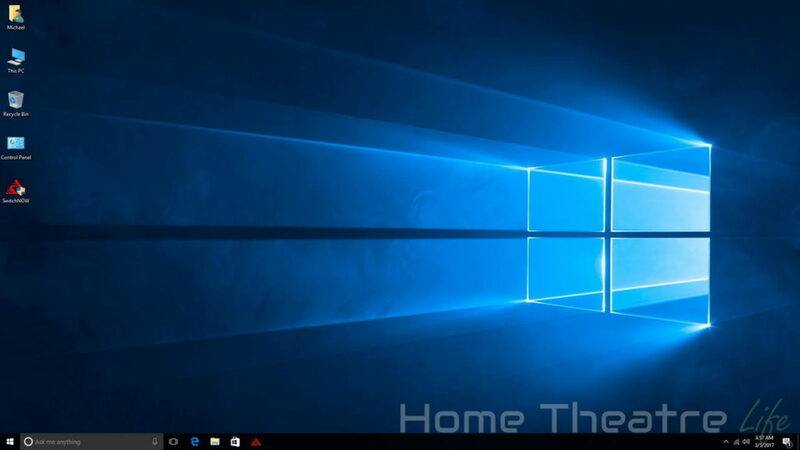 Chuwi have also added in a shortcut in the notifications shade for switching to Windows 10 and over-the-air (OTA) updates app for updating Android. I was actually surprised to see there was an update from November and the box automatically downloaded and installed it. The whole process was painless. 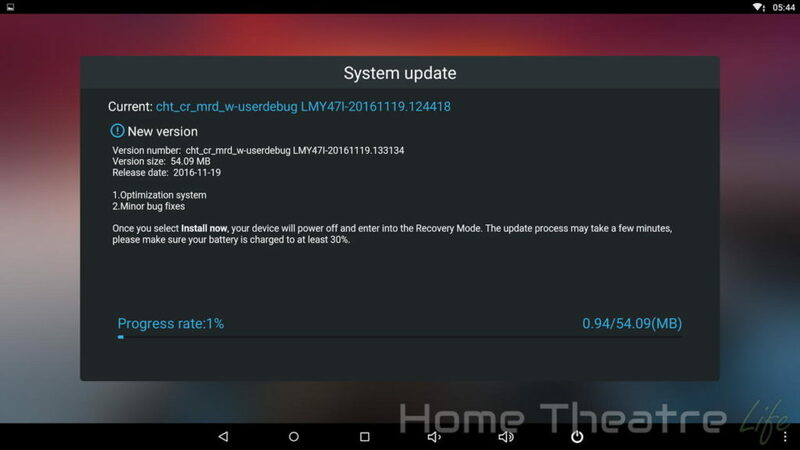 The Chuwi HiBox Hero isn’t not rooted out of the box, though this won’t affect most users. Intel’s quadcore Z8350 didn’t have any issues handling both Windows and Android and the 4GB of RAM definitely helped with multitasking. My video tests were done using Kodi 17.1 under Windows 10, playing back videos over wifi from an NFS share on my server and a USB 3.0 hard drive. 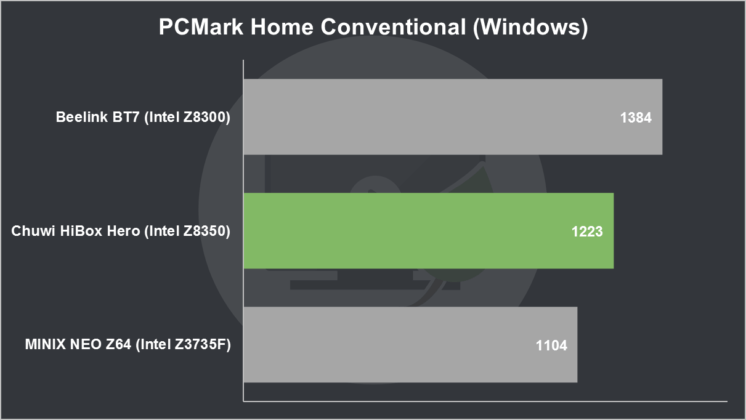 Windows 10 is recommended due to its superior Kodi support compared to Android. Overall, the Chuwi HiBox Hero’s video playback was solid. Most videos played back flawlessly and the more powerful chipset allows for software decoding of many video samples that trip up Android boxes I’ve tested. 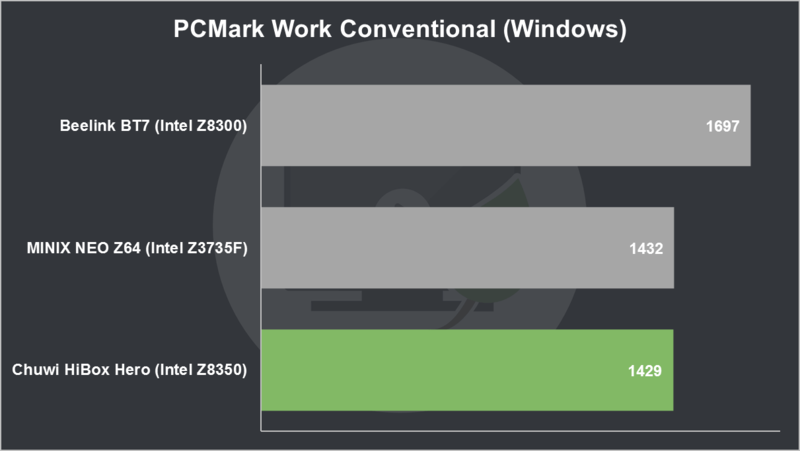 Automatic framerate switching worked flawlessly under Windows for smooth playback of all videos. Dolby Digital 5.1 passthrough via HDMI worked without issues in Kodi 17.1 after being enabled in settings. Netflix works well on the Chuwi HiBox Hero via the Netflix Windows 10 app at full HD. 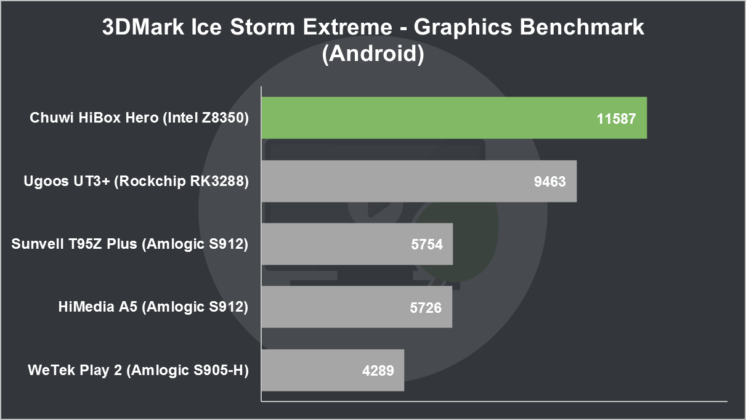 Gaming performance was decent thanks to the Z8350’s improved GPU. 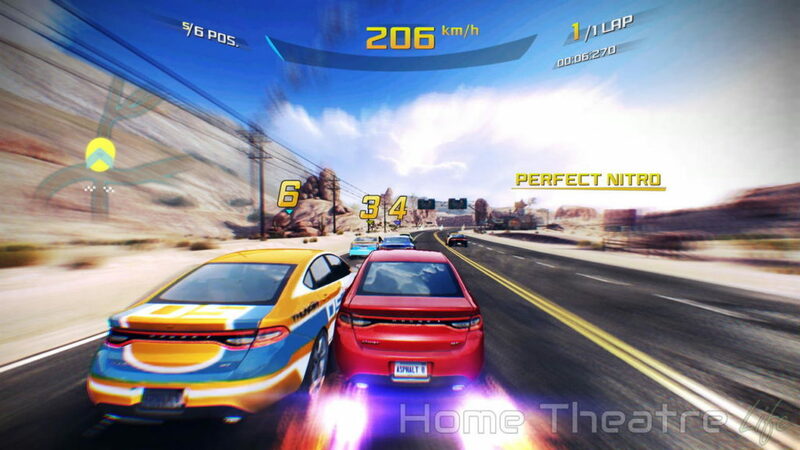 Beach Buggy Racing and Jetpack Joyride were flawless, though Asphalt 8 did show sub-30fps framerates when maxed out, though lowering the settings improved things dramatically. I used my GameSir G4S (read my review) via the 2.4GHz wireless dongle without any issues, with Windows 10 detecting it as an Xbox 360 controller. 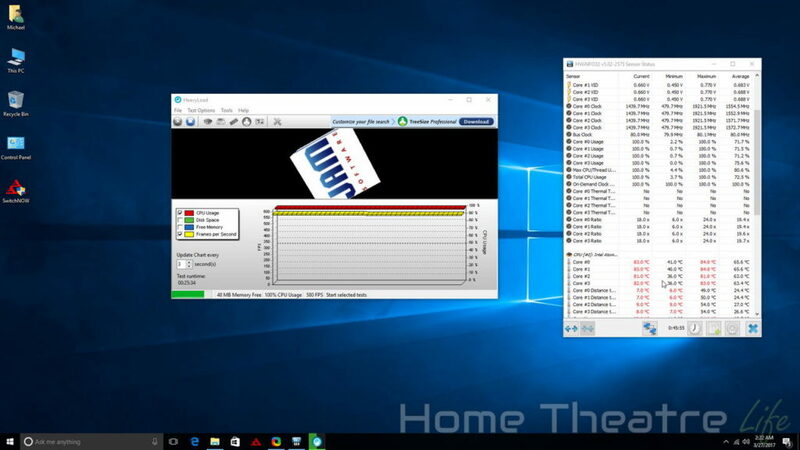 Stressing the Chuwi Hibox Hero using HeavyLoad for 30 minutes saw temperatures max at out 83℃ without any thermal throttling. Ambient temperature was 22℃. This left 7℃ of headroom so Chuwi’s fanless cooling setup is ok though I wish it ran cooler. Should You Buy the Chuwi HiBox Hero? The Chuwi HiBox Hero is a great Windows 10 mini PC that offers a surprising amount of utility for under $130 despite the odd port layout. 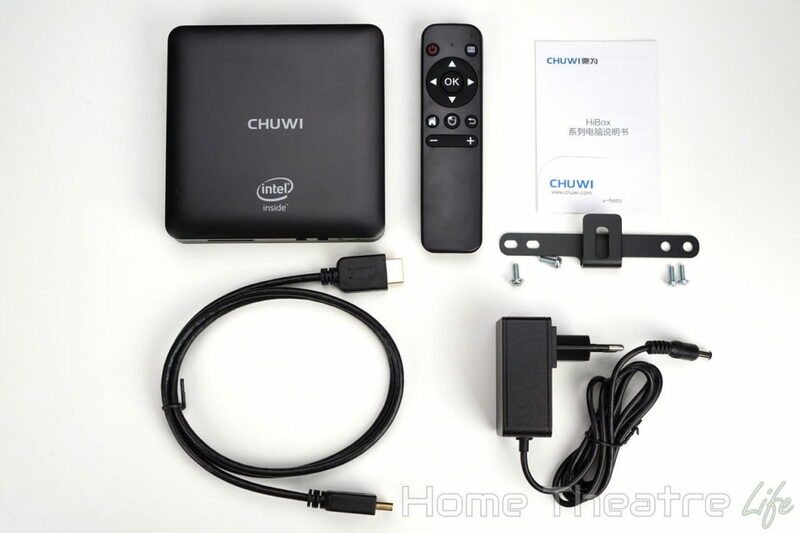 From media playback in Kodi to general web browsing and watching YouTube, the Chuwi HiBox Hero performed well. 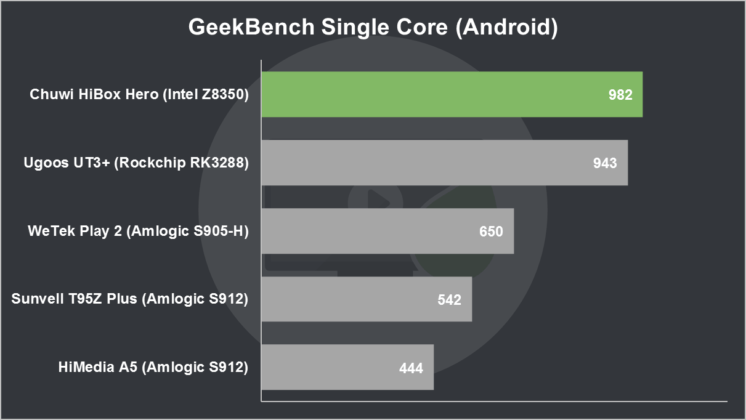 Being able to move between Windows 10 and Android depending on your needs sweetens the deal. 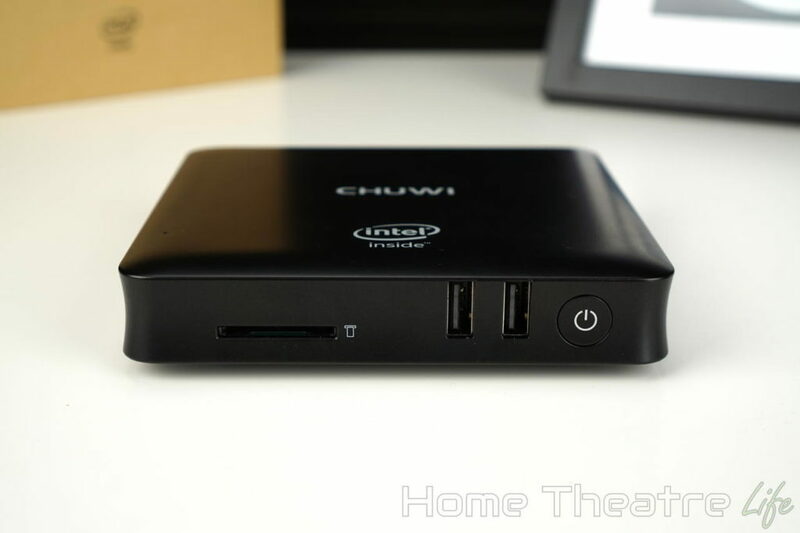 If you’re looking for a compact mini PC, take a look at the Chuwi HiBox Hero. The Chuwi HiBox Hero is available from GearBest and Banggood under $150. 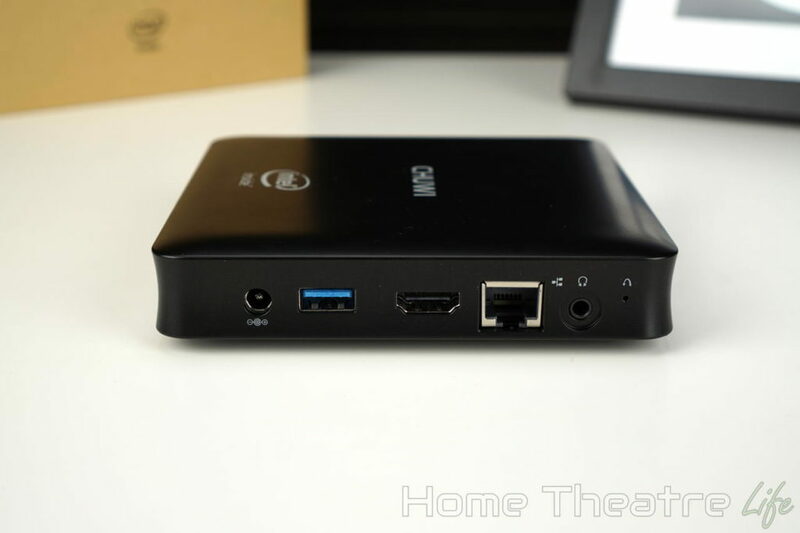 The Chwui HiBox Hero is a solid mini PC which offers respectable performance for a variety of uses though an awkward port layout poses some challenges.